Arndís… ALL THE WAY to Hafnarfjordur, it´s not like it is the end of the world, it takes me like 30 minutes to ride my bike to your house…. Ok maybe 40-45 but who´s counting? BUT I´m very happy with your choice of Shop and yarn because, surprize surprize, Madeline Tosh is my all time favorite yarn to (Please believe me people, this was not planned). 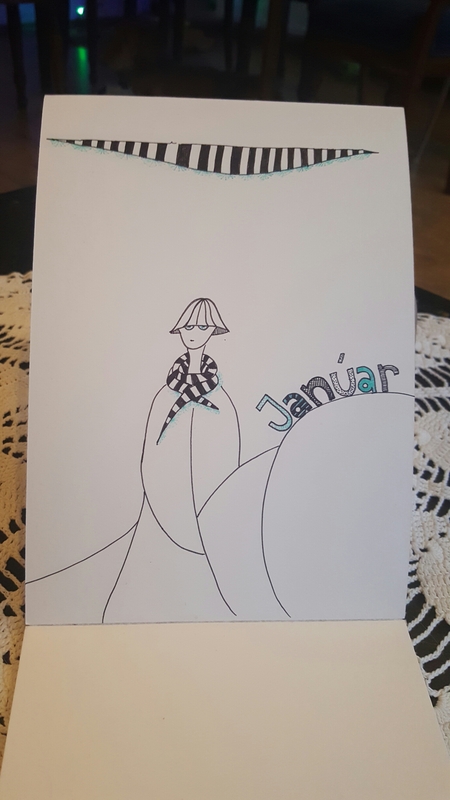 I made a sketch before going to buy yarn because you have trained me so well 🙂 these last few months.